Want to meat new people? 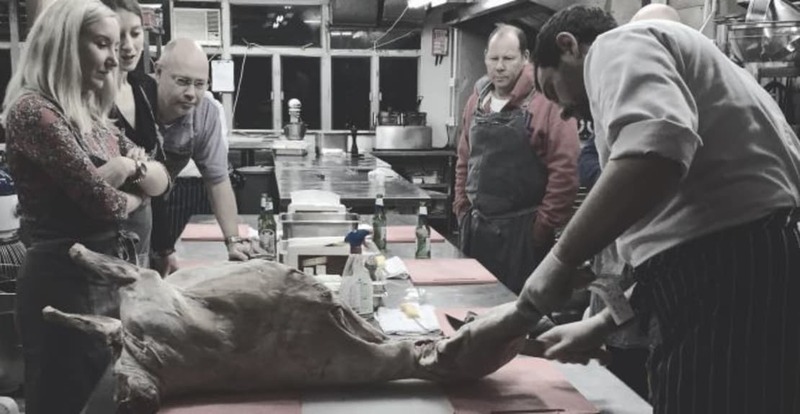 Take a butchery class! Obby recently came across this golden oldie by US author Rebecca Harrington, in which she highlights the difficulty in meeting new people in a big metropolitan city such as New York (or London for that matter!). Now, here’s what got us interested in this article: Rebecca solved this problem by…taking a Butchery class! Rebecca took a Butchery class and discovered a number of interesting things: It is never too late to learn something new! Taking a class is a fantastic way to meet you people! Some people are REALLY into butchery! Oooh I would love to take a class, how do I sign up? You may have experienced this; it is REALLY difficult to find great classes in London. Worry no more – this is where Obby comes in! We are finding the most amazing learning experiences and bringing them to you. Fancy learning how to make dim sum? We can find you the best dim sum cooking school, open at the time that suits you best. Interested in pottery? No problem – we have something for that too! To start off we are focusing on food and drink (think cooking, butchery, cocktail making), arts & crafts (such as pottery, sculpture, drawing, dress-making) and photography. But we will be adding much more as we get bigger – so join the Obby family now to keep up to date as we grow! So, who is Obby? Tell me more… At Obby we are passionate that learning is about more than just reading books, or following an online tutorial. Learning is about creating experiences. Ditch your smartphone and take a pottery course for an afternoon. Bring your friends or find new ones! We promise you will have a fab time! We will be launching our marketplace in London very soon. If you sign up on our homepage, we can get you early access to some bespoke classes we are going to be offering to the special group of early adopters, or as we call them, Obby-ists! What are you waiting for?